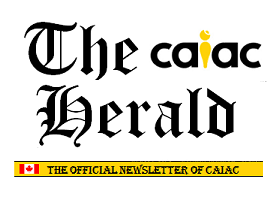 The CAIAC Herald is the official newsletter of CAIAC. The purpose of this publication is to keep you in touch with some of the new developments at CAIAC and in the AI community in Canada. In addition, each edition will feature an interview with an eminent member of our community. Here are the most recent editions of the CAIAC Herald.